The “locks”… we’ve heard a lot about them… What are they? How do they work? We were keen to see the locks that allow boats to safely pass between Lake Huron and Lake Superior in action and learn about how they operate. 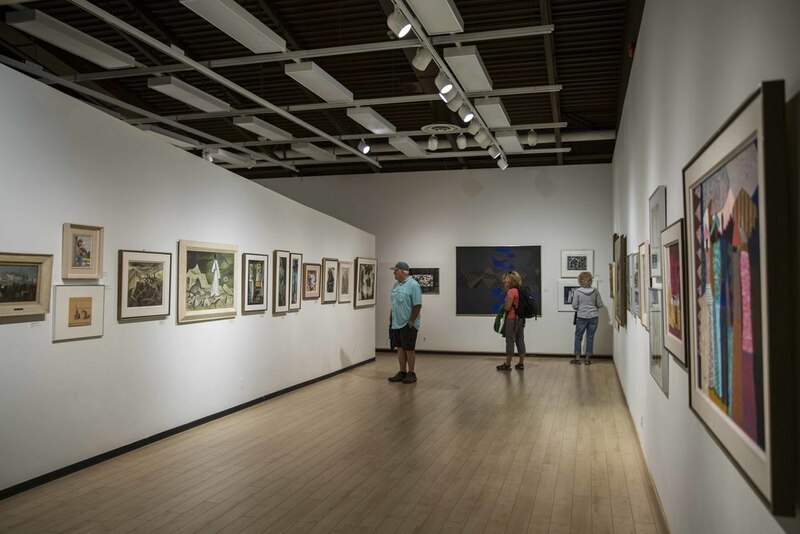 We were also excited to visit Sault Sainte Marie and experience the city that connects Lake Huron and Lake Superior! As we approached Sault Sainte Marie, which is about 4.5 hours north west of Providence Bay on Manitoulin Island, a large weather front started to move through the area which made our visit a bit wet! 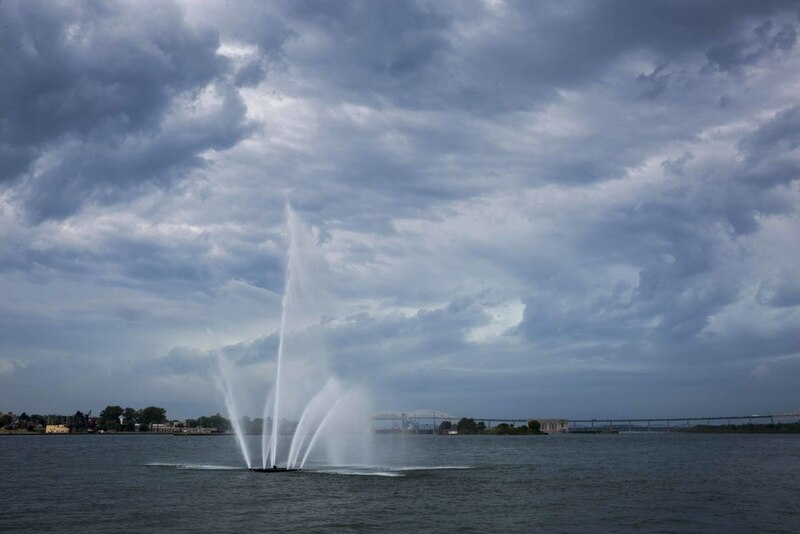 I truly believe that everything happens for a reason… the rain was a blessing… washing away the grittiness of the area and revealing the real gems… the great people of Sault Sainte Marie. Sault Sainte Marie is on the Canada/US boarder and we stayed on the Canadian side. The night we arrived we checked in to our campground… the KOA in Sault Sainte Marie, Ontario, which is about 10 minutes from downtown (it’s right off HWY 17 where there are lots of lodging options, gas stations, groceries, etc.). It is a premium campground… probably the nicest we’ve been to… just about every amenity we could imagine! Once we unhooked we met my parents, who stayed at a hotel close to the campground, and headed downtown. From my research on the internet, I expected a bit more of a vibe downtown, however hardly anyone was there. We’d traveled a long way, were tired, and needed to find somewhere to eat. We found Arturo’s Ristorante. At first this was sort of a “hey, we’re traveling and at the end of our rope and just need to find a restaurant”… however, it turned into an awesome experience! Arturo’s is more fine dining than we would have chosen if there were various options… it was quite a treat! 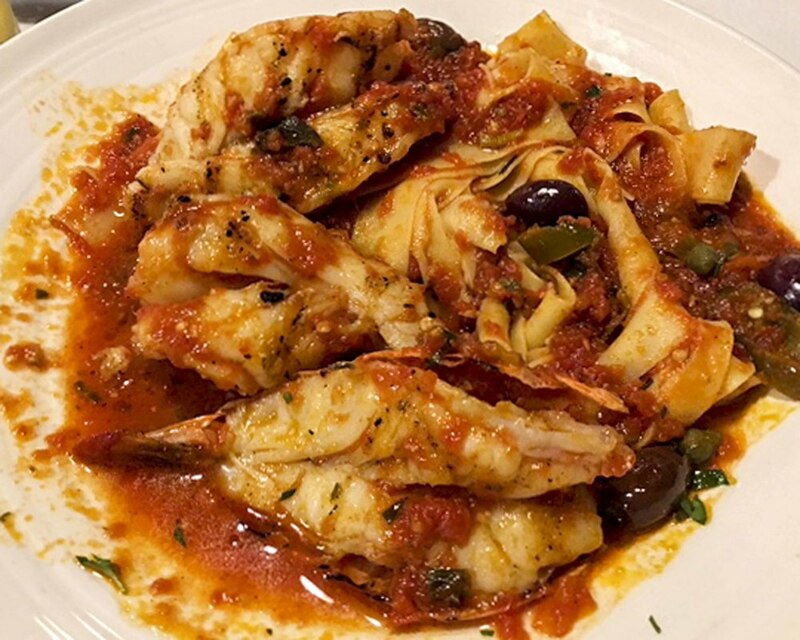 Todd ordered shrimp scampi in a spicy sauce over pasta that was awesome… the three scampis were the size of small lobster tails! 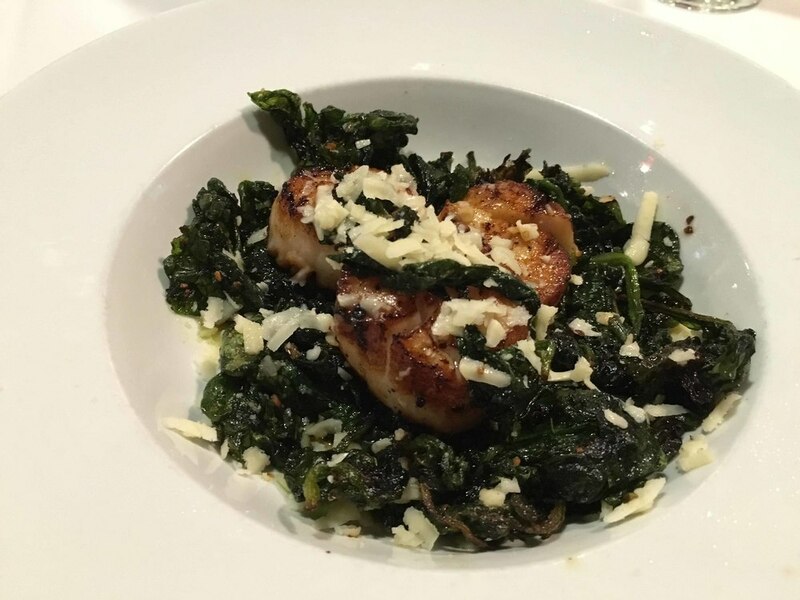 I had a salad and the scallop h’orderve which included three large scallops over a tasty bed of spinach… it was perfect! My parents had pasta dishes that were great and the chef made Daniel chicken exactly to his liking. In addition to having great food, Arturo’s has a great atmosphere and the people are fantastic, friendly, and accommodating… from the moment we were greeted we knew we happened upon the spot for a reason! 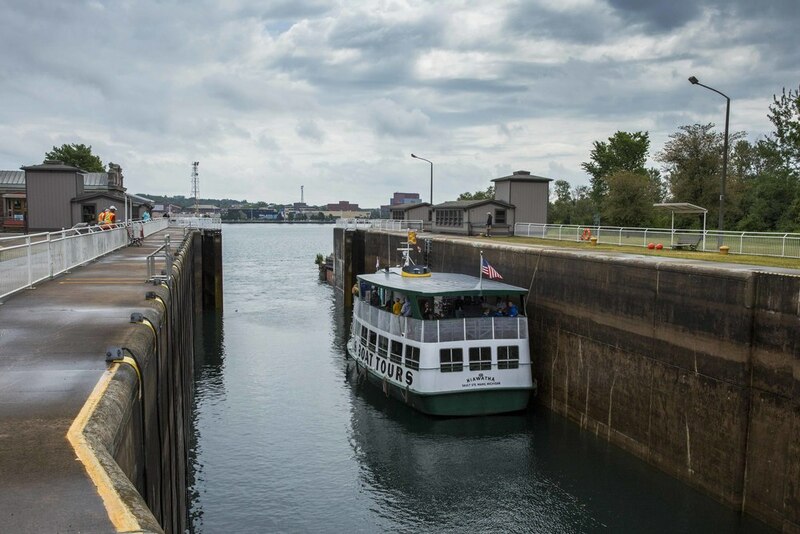 We had one full day planned in Sault Sainte Marie and when the weather broke we headed straight for the locks. The locks, which are critical to shipping and traveling on the Great Lakes, are located in the St. Mary’s river which connects Lake Huron and Lake Superior. 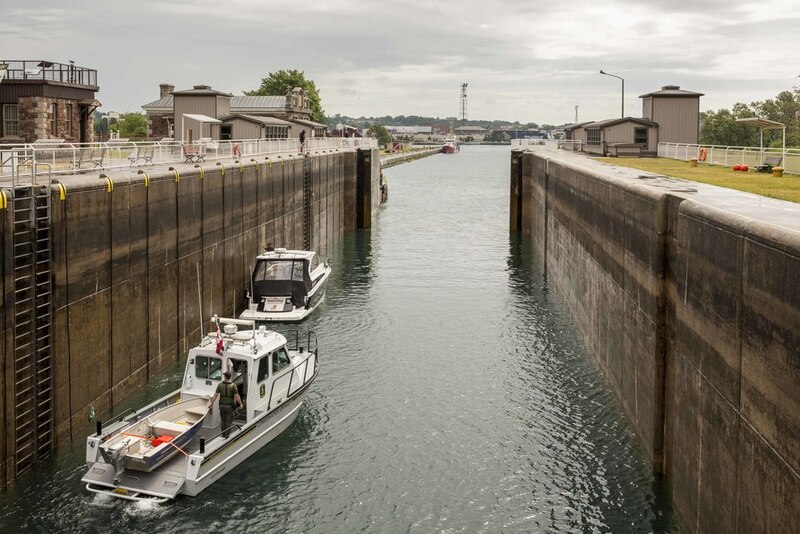 The locks on the Canadian side of Sault Sainte Marie are used for passenger and leisure boats. The locks on the US side are much larger and handle the freighters. When we got to the locks two boats were in the locks, so we got to see them in action! After they passed the locks we headed for the visitor center next to the locks. The staff at the visitor center were very helpful. 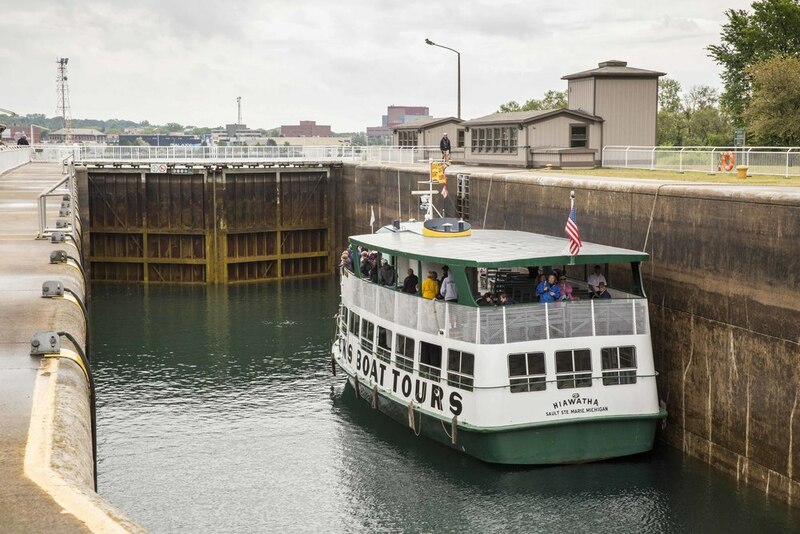 They gave us an overview of the locks and answered all of our questions… the history of the locks, how they operate, what boaters need to do to use the locks, how fast they fill, etc. Sault Sainte Marie has a boardwalk that starts very close to the locks and ends at the other end of town. Along the way there are various spots to visit, places to sit, and a couple places to get a snack. The weather was still dry so we decided to try it out. Our first stop on the boardwalk was Museum Ship Norgoma. The Norgoma was a passenger ship in the 1950s and was decommissioned in the late 1960s. 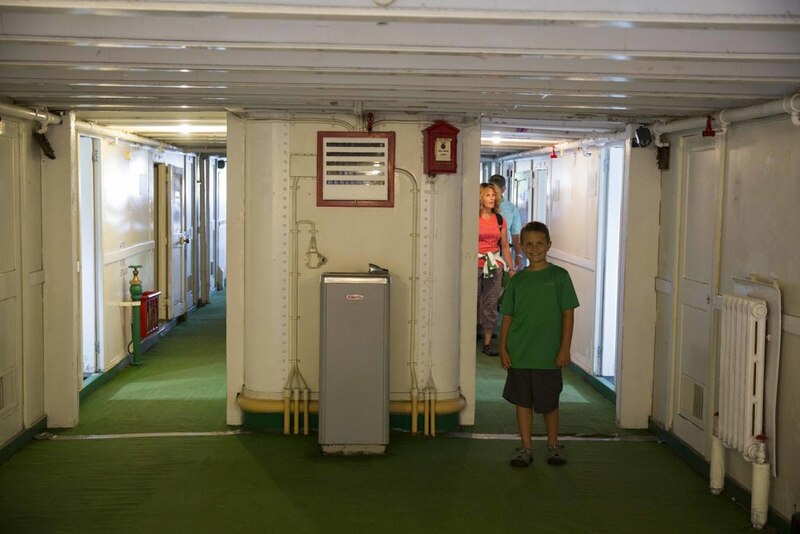 It was really interesting to tour the ship and imagine what cruising on the Great Lakes was like 60 years ago! 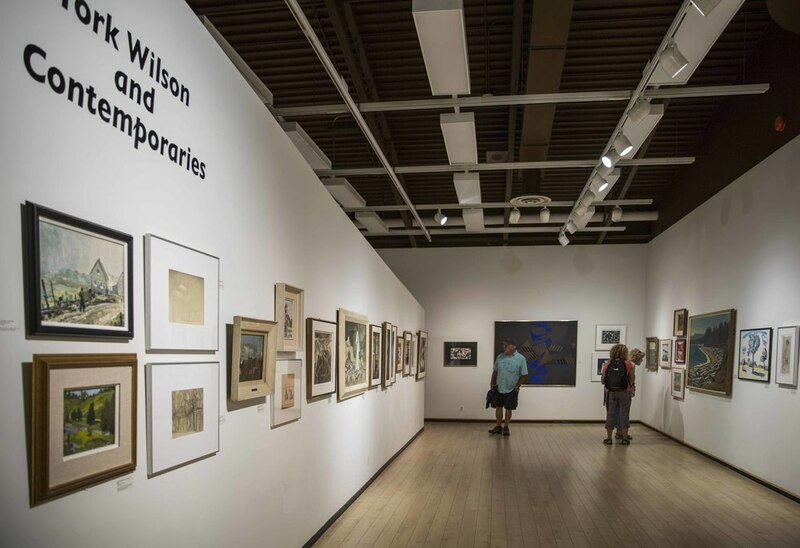 Next we visited the Art Gallery of Algoma, which is a small gallery featuring Canadian artists. Though small, the art is really beautiful. The staff is also very helpful and supplied Daniel with paper and crayons to create his own art while we enjoyed the gallery. We stopped in the Heritage Center, which is across the street from the Bushplane Center, to get a suggestion regarding where we could find something to eat. The woman we talked to couldn’t have been nicer or more helpful! She suggested that we stop at City Meat Market, directly across the street from the Heritage Center (on Queen Street), to get a sandwich. 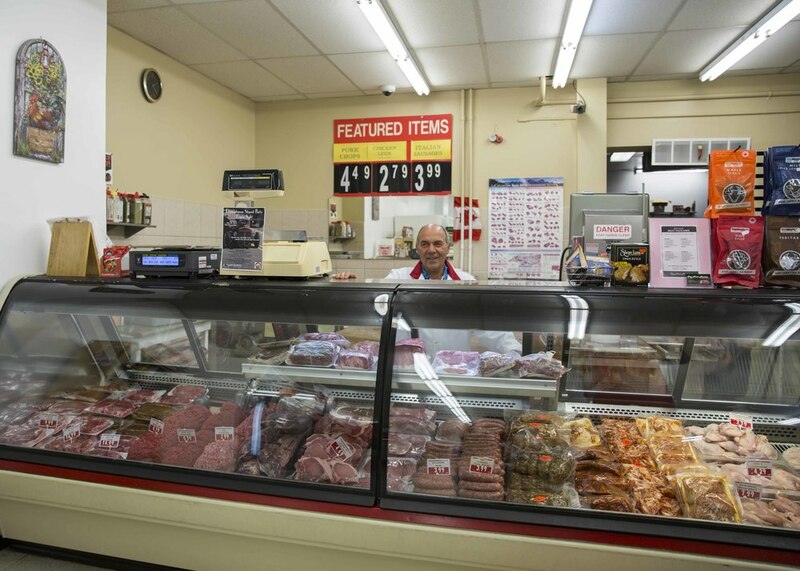 We’re always looking for special places… places where the people are awesome and take great pride in what they do… this is City Meat Market. When we arrived at City Meat Market the rain hadn’t started yet. We needed a quick sandwich for Daniel and a suggestion for a place we could go to eat and wait out the storm. As they made Daniel an awesome salami sandwich we looked at the beautiful meat counter and thought we might stop back before leaving Sault Sainte Marie. Daniel’s sandwich was perfect… they even gave him some extra homemade Italian bread after he told him how much he loves bread! The rain was starting and we needed to leave quick! We had thought about going to a sports bar on the river, but that was far. The staff at City Meat Market suggested that we go to Muio’s, just a few steps down on Queen Street. 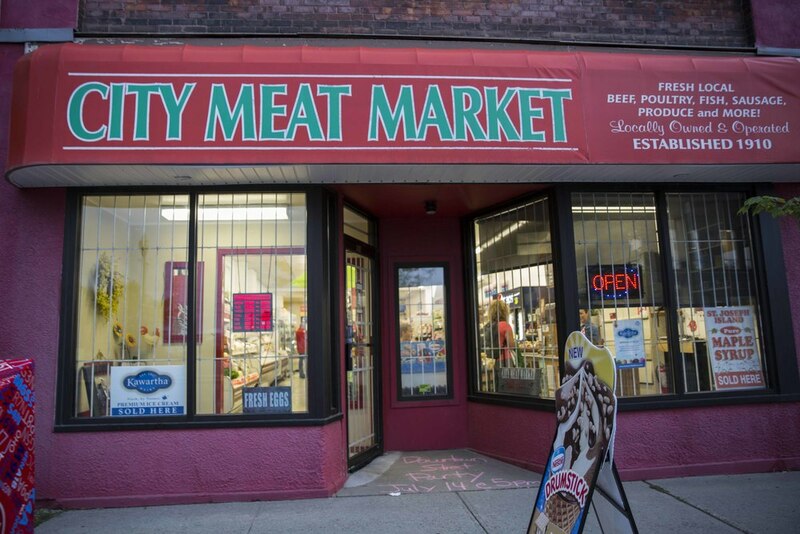 Our experience at City Meat Market was so great that we decided to give it a try! We made it to Muio’s just in time… it started to pour as we sat down. We noted that we had passed Muio’s the day before and didn’t stop because we weren’t sure of it… we’re so happy we gave it a try. The staff was so accommodating… we sat and had a drink while we waited for my Dad to arrive (he was still at the Bushplane Center!). We ordered a mix of salads, pizza, and sandwiches and were all very pleased with our food. I had the Rocco salad with the signature Rocco dressing and it was great! We waited for a break in the weather… when the rain let up a little we headed back to City Meat Market to get some meat for our journey. We got some steak, pork, chicken, and sausage… we cooked them the next night and they were all fantastic. Unfortunately, the rain got harder when we left City Meats and we had a very wet walk back to the car. However, we were smiling thinking about the great people we met, the new things we learned, and the great food we ate during our day in Sault Sainte Marie!